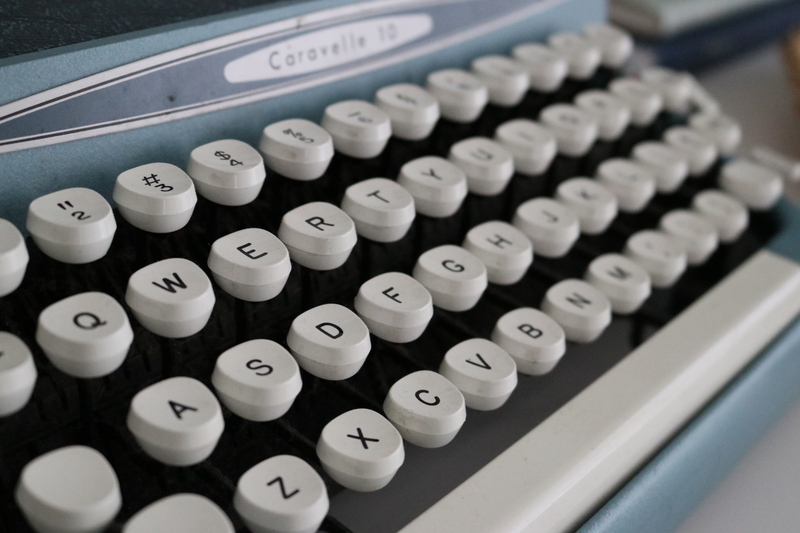 The QWERTY keyboard was created in the early 1870s by Christopher Latham Sholes. I wonder if Sholes had any idea the extinct to which his keyboard would be used?! I can’t think of the last time I used a dictionary or an encyclopedia – and I look up words a LOT. But good ol’ Google or Dictionary.com help me find just about anything I want. Connecting with friends is so much easier – especially when it’s in the wee hours of the morning and I can’t sleep but thought of something I wanted to tell them. To the keyboard I go! I stepped in it. Boy that’s a phrase I use way too often. I know my intentions were good. But I am sure they came across as bossy…again, my ever-present problem. I tried to encourage and I royally pissed off instead. The response was waaaaaaay out of sync with the original message. It was mad and accusatory and I didn’t like it one bit. I felt it best to not respond with explanations but rather to wish the person well, which I truly feel for them. Now I am just left with the yucky feeling of a relationship that got all twisty and misunderstood. These are the moments when I envy the life of hermits like J.D. Salinger. I understand their need to withdraw; people can be so very confusing at times. The older I get, the more I am surprised at my desire to not fight back. I don’t worry as much that people think I am retreating in defeat. I know what my heart is, they don’t have to understand. But the ‘yuckiness’, post-misunderstanding, is like wading through muck in high boots. And not cute yellow Hunter boots. Big, clunky, camouflage boots that are hard to manipulate in the mud but keep you nicely hidden from the world. Maybe it’s the back-to-back dreary days. Maybe it’s the new books I received in the mail yesterday. It just feels like a Day of Retreat. But here is another thing that has been a welcome friend as I grow older: the understanding that other people’s responses to things are in great part due to things happening in their lives and not necessarily about you at all. I think that is true in this case to a great extent. There are parts of the disagreement that I need to claim responsibility for. I should have kept out. (…again, an all-too-familiar phrase in my life…) but I stepped in out of concern for the other person. Clearly, I stepped in clumsily, but my heart meant to do good. Am I using you for a sounding board? yes; I am sorry. But I hope you will find a nugget of encouragement somewhere in this post that we all get into quirky qwerty situations from time to time. It’s not just you. It’s not just me. And sometimes, it is best to take a step back and get out of the fray. Will they misunderstand your response? Maybe. Is it worth it to fight it until the bitter end? Rarely. Knowing when to say you’re sorry and step aside has been a lifelong lesson that I am still learning. Sometimes, lifting your fingers from the keyboard and picking up a good book is the right course of action. A phrase I am hearing a lot lately is: “There’s so much negativity on instagram.” Truth is, there is so much negativity present in the world right now. Online fights and arguments and tweets. And if we don’t learn how to sift our way through the minefields of opinions without getting any schmuck on ourselves, then we are in for a long four years ahead. The Trickle Down Effect has never been so evident. But two new books from Amazon and a cat that found her way into the KFC chicken at the bottom of the trashcan last night – well, they don’t talk back much. So I think I’ll curl up with both of them today and ‘J.D. Salinger’ it a bit.